Hope Mill is an inspirational place to visit. Buzzing with a mix of inner city energy; the historical richness of a grade 2 listed mill that continues to resonate with it’s past industrial splendour; and a contemporary vitality borne out of the mill’s re-imagined designation as home to Manchester’s largest creative hub of artists, designers, photographers, publishers, Comme Ca art gallery, Hope Mill Theatre, and much more. Hope Mill and AWOL Studios, sits on the fringe of a revitalised Ancoats, that has seen urban regeneration turn a forgotten corner of our city into the hippest suburb of Manchester, bursting with an independent spirit, and home to a plethora of creative businesses. Creative Art Courses is proud to be part of this vibrant and creative city. Watch the video the find out exactly what the Creative Art Courses studio is all about. I joined AWOL studios in 2005. The Gallery studio that I now occupy was originally designed as an art gallery and has 3 walls that pivot enabling me to have the use of an open space for exhibitions, and enables students to enjoy a wider more open space during some of my courses. 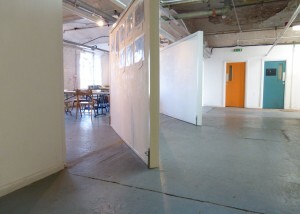 But more importantly, find out what my students think about the Gallery studio within this enigmatic grade 2 listed mill. Hope Mill was one of the earliest developments in the new industrial suburb created alongside the Ashton Canal in the 1820’s. In 1824, the owners, Joseph Clarke and Sons purchased an 80 horse-power mill beam engine from Boulton and Watt of Birmingham. By 1880, the area was fully developed, with a large number of steam- powered industrial complexes. 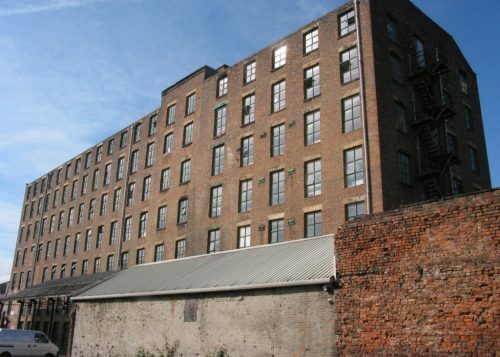 In the early C20, Hope Mill was occupied by John Hetherington and Sons, manufacturers of textile machinery, based at Vulcan Works further west on Pollard Street. 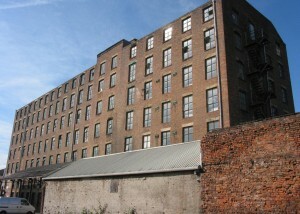 Hope Mill is a Gade 2 listed building and is one of the best-preserved examples of its type in Manchester. The Mill retains extensive evidence for the evolution of successive power systems, and which includes an innovative prefabricated iron roofing system. This important component structure demonstrates an understanding by the designers of the principles of compression and tension acting in roof structures, and is related to similar early iron roof structures in contemporary mill developments in Ancoats. Hope Mill makes a strong contribution to the international significance of this part of Manchester as the prototypical industrial suburb. The Mill along with Ancoats’ wider heritage represents the extent and density of Manchester’s textile and engineering industry at its peak, and together constitutes an historical industrial landscape of international significance. 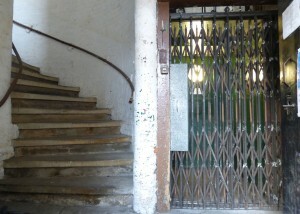 The Mill has a lift (somewhat Victorian in character!) and a beautiful main spiral stone staircase. We have the benefit of central heating in winter (a real bonus compared to other Mill conversions), shared toilet facilities, and equipment washing area. 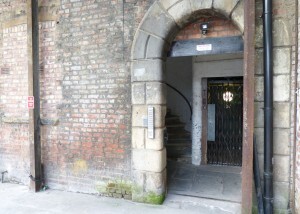 Unfortunately the Mill is not fully wheelchair accessible or DDA compliant. If you have any specific access needs, please let me know before booking. I try my best to ensure my courses are as accessible and inclusive as possible.